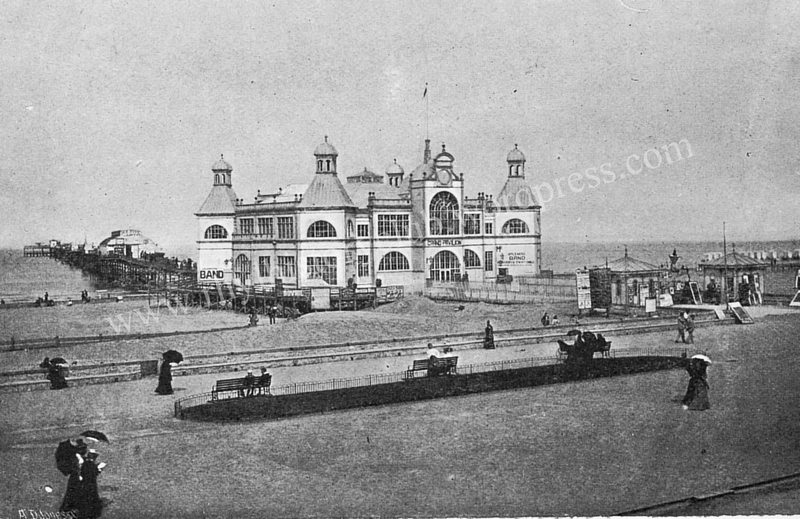 We think that the film was eventually shown in Rhyl – can our readers confirm this? 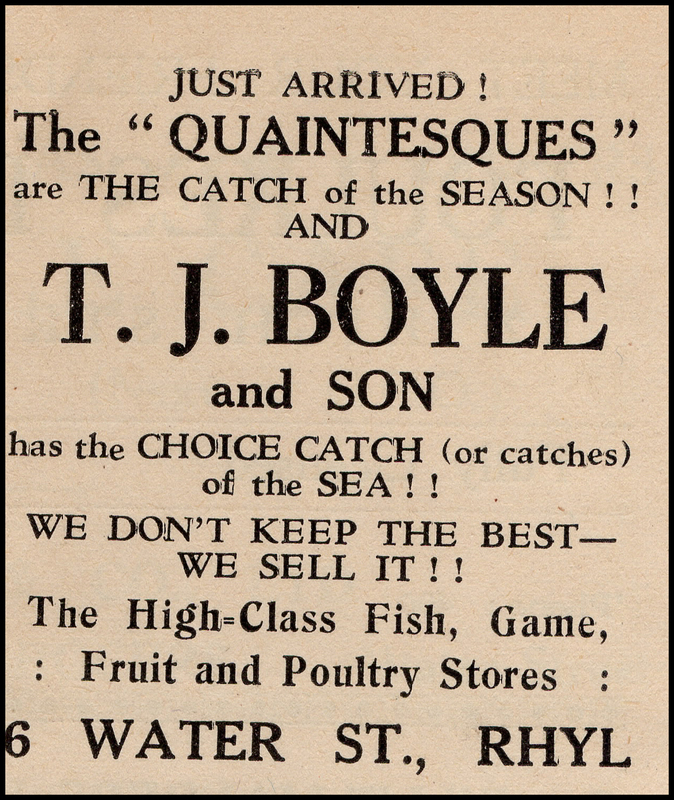 Ninety years ago there was a packed programme at the Rhyl Pavilion and Gardens. 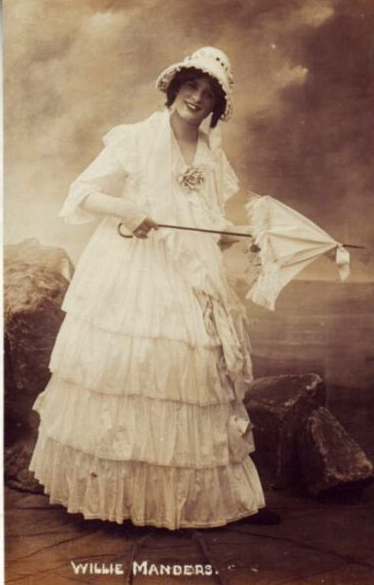 Direct from the Aldwych and Shaftesbury Theatres, London was the play “Tons of Money”, a farce by British writers Will Evans and Arthur Valentine. Also showing was “Bringing up Father”, which was based on an influential American comic strip. There was an operatic concert on Easter Sunday and the Rhyl Silver Band played in the Gardens. Can any of our readers confirm that the Manager of the Pavilion, J.W. Jones, is same Mr J.W.Jones, the local historian who was also known as “Joe Swan”? One of the most notable parts of the programme was the wonderful transport arrangements that were in place, that would put modern public transport to shame. Rhyl’s White Rose Motor Company had saloon buses waiting outside the theatre each evening to take people home to: Prestatyn, Gronant, Ffynnongroew, Greenfield, Meliden, Dyserth, Rhuddlan, St. Asaph, Trefnant, Denbigh, Bodelwyddan, St. George, Towyn, Abergele, Llanddulas, Penmaen Hill, Colwyn and on. Also Newmarket and Trelogan on Tuesdays, Thursdays and Saturdays. The L.M. & S Railway Company put on late railway facilities after the show to places as far afield as Bangor and Bettws y Coed. Ninety years on there is still lots going on at Rhyl’s New Pavilion Theatre. This Easter “The Wizard of Oz” is showing – a magical treat for all the family. 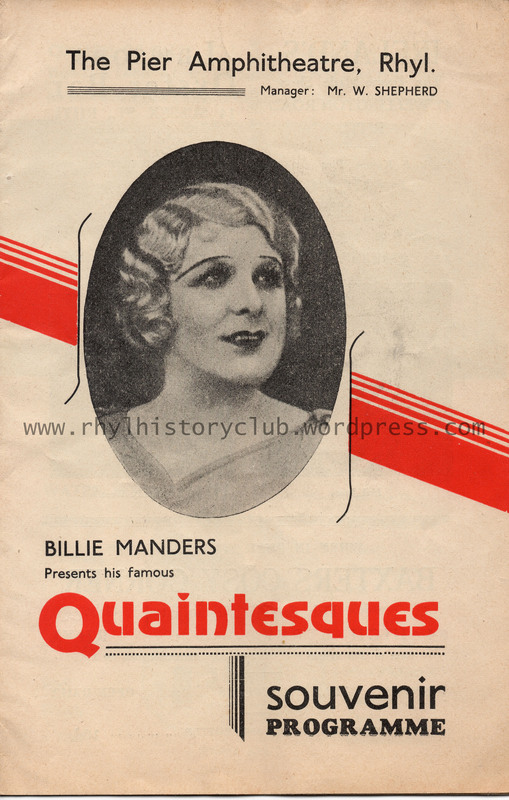 Billie Manders and the Quaintesques. 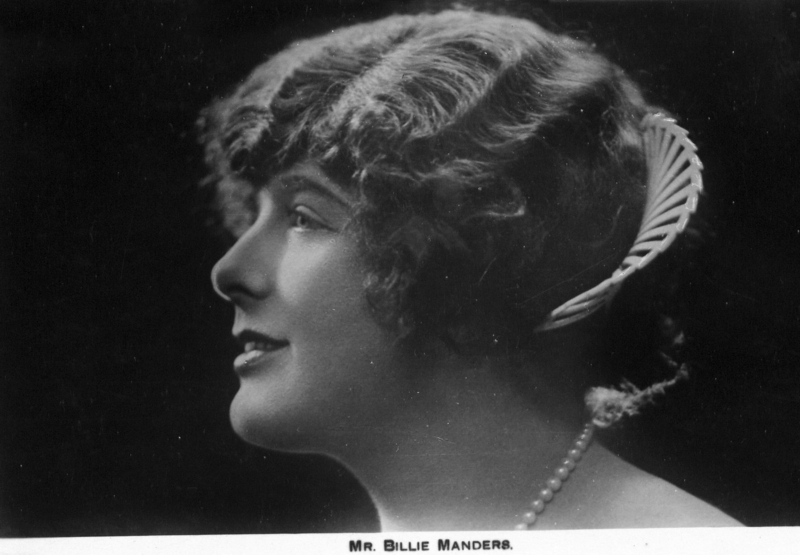 Billie Manders came to Rhyl in 1921, took a lease on the Amphitheatre and opened there on July 11th. 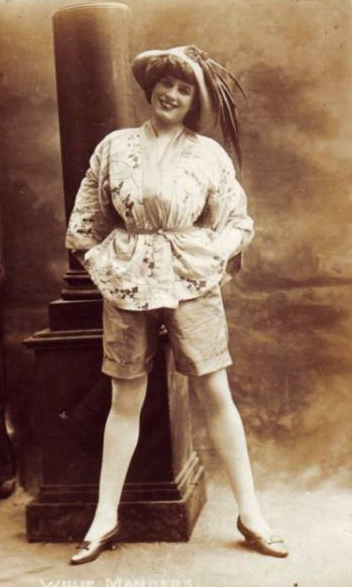 There were seven in the original all male company, which was an immediate success, Mr Manders always appeared as a woman. The shows ran for 44 consecutive seasons until 1964. Every Friday night a new programme was presented. This ensured regular patronage, from local people in addition to visitors, as one could go every week during the season and see a different show each time. 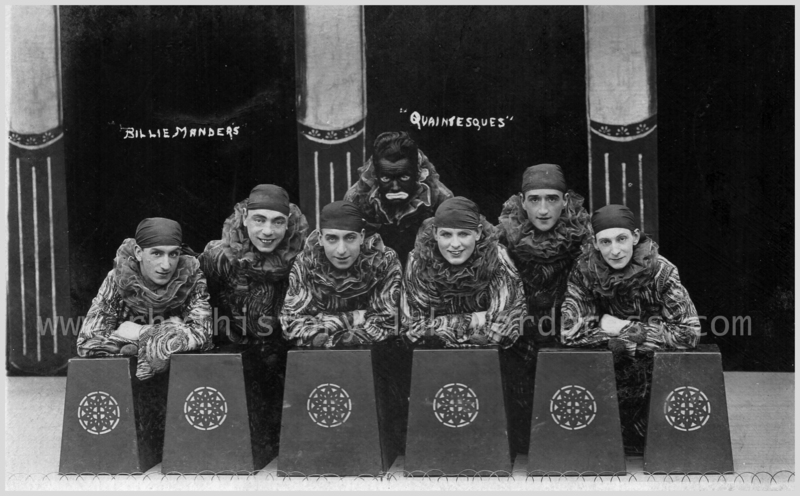 At the end of each Summer season in Rhyl The Quaintesques went on tour to Birmingham, Manchester and Sheffield where they played a few weeks in each city before returning to their permanent home in Rhyl ready for the Summer Season. This arrangement provided employment throughout the year, something that very few theatrical employers were able to offer. 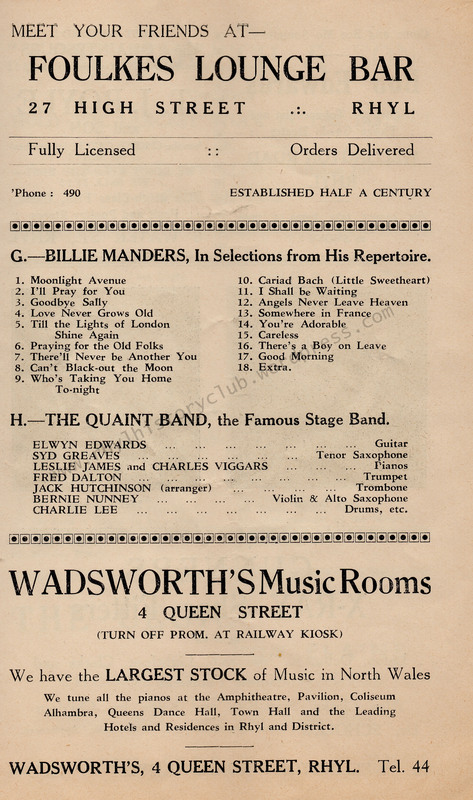 “Manders – On October 28 suddenly in hospital WILLIAM HENRY (Billie) MANDERS of “Pimperne”, East Parade, Rhyl, the devoted husband of Gladys and “Guvnor” of the “Quaintesques” at the Pier Amphitheatre, Rhyl.” His funeral was held in St. Thomas’ Church, where 1,500 people gathered. He is buried in Rhyl Town (Maes Hyfryd) Cemetery. 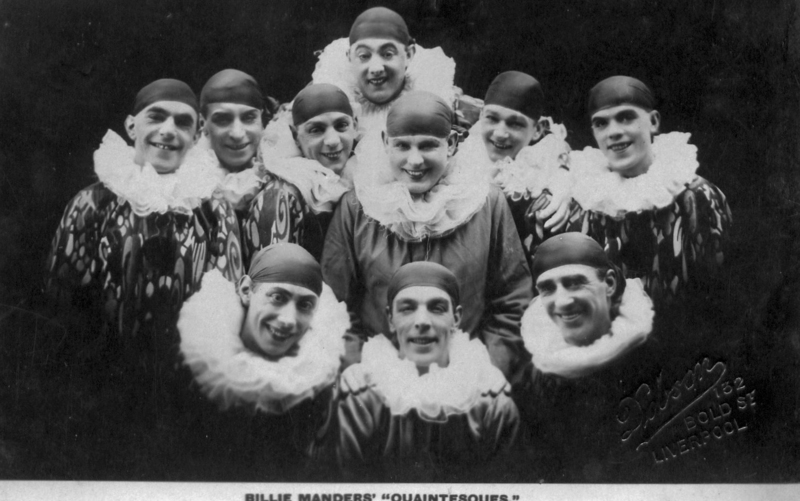 The end for The Quaintesques did not come until after the 1964 season, when Mrs Gladys Manders retired. Thanks to Lynne Maxwell who has sent in two wonderful photographs of Willie Manders, as he was known in his early days. He changed his name from Willie to Billie at the suggestion of his father-in-law, Mr. Will Catlin.